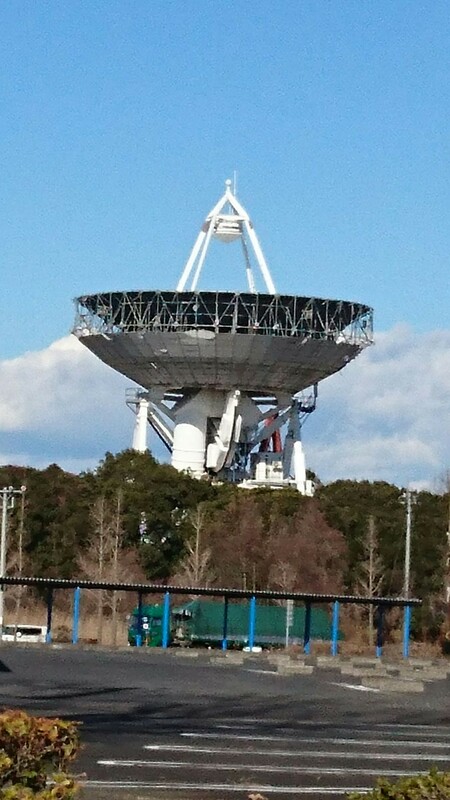 For 18 years (since 1998) the VLBI Antenna stood a few hundred meters from the center of Tsukuba University. At 32 meters in diameter it was long a grand and mysterious Tsukuba landmark. But alas, at the end of 2016, the antenna went out of service- and now, mid-January 2017, it is being dismantled. Then there are your favorite shops and restaurants that have to close down and go out of business because of all these years of sluggish economy – and all the new shopping malls (four in little Tsukuba City alone). Another loss some of us old-timers have been pained by is that of the very landscape itself ! When we first came to Tsukuba, we fell in love with its still extensive forests – in which you could hike for hours – and its abundant flora and fauna, which thrilled us with every encounter. That`s pretty much all gone now. Replaced by parking lots, convenience stores…and plenty of chintzy looking (yet very expensive) housing developments. 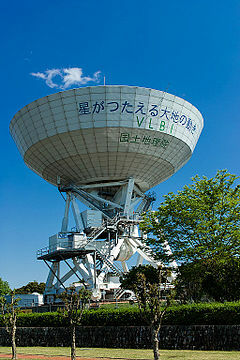 There were formerly three other VLBI dishes in Japan, besides the one in Tsukuba, at locations in Hokkaido, Okinawa and the Ogasawara Islands. From the end of 2016, though, they will only be operationg out of one place – Ishioka City, Ibaraki Prefecture – just on the other side one Mt. Tsukuba from here! So if you`d like to see an old friend, you won`t have to drive very far! At the beginning of 2017 we find ourselves saying good-bye to the familiar yet again ! 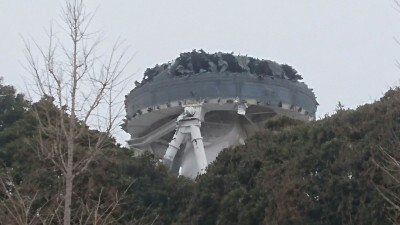 The big antenna dish that stood not far from Tsukuba University`s Foreign Student Center is currently being dismantled. For nearly twenty years it help us keep our bearing as we cycled about the maze-like old Tsukuba neighborhhoods. When you got lost you looked for its immense parabolic dish and you`d know which way you`d have to go (and each time you did spot it, its dish would be facing a different direction – which was also fun in its own way. The dish was also a great conversation piece. When you passed it with someone new to Tsukuba they would inevitably ask – What is that for? Studying quasars? 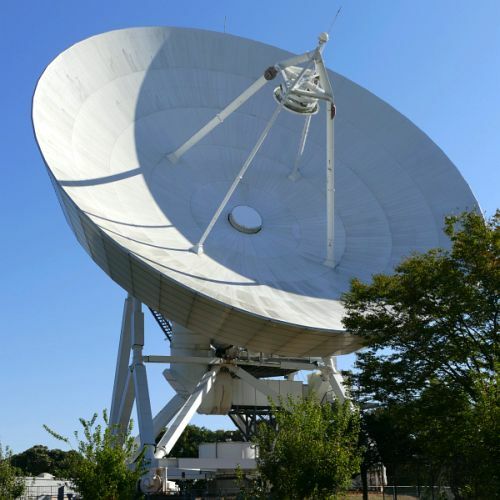 Gathering Satellite data? Searching for alien life? I always sensed that the amswer. the antenna`s true purpose, came as let-down to whomever I explained it to. The antenna was for measuring the minute movements of the Earth`s plates – and for carrying out detailed geographical surveys. With that, I almost felt a if I had to say I was sorry. Anyway, I will be asked the question no more! At the end of last year, the antenna went out of operation. Now it`s in the process of being dismantled. Native Tsukubans and long-term residents alike gasp in dismay when they see what`s happening to it. 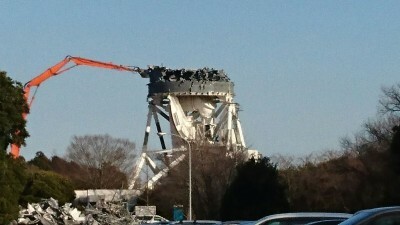 Apparently, they will be carrying out the same sort of measurements from Ishioka City – on the other side of Mt. Tsukuba. If you`d like to say good-bye to the old familiar dish, you`d better go soon! As of today (January 19th), it`s nothing but a stump ! 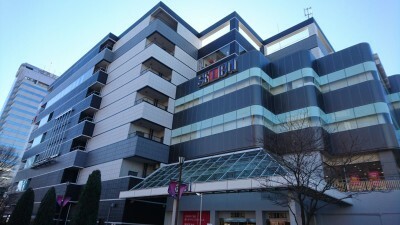 For more than 30 years Tsukuba`s Seibu Department Store has been much more than just a physical landmark at the center of the Tsukuba Science City, it was also long the lone outpost of modernism and sophistication while this area was still mostly woods, vegetable fields and quiet hamlets. Competition from multiple shopping malls, a shift towards frugality among consumers, and changes in tastes and cultural values have forced the venerable chain to close its doors in Tsukuba at the end of February. 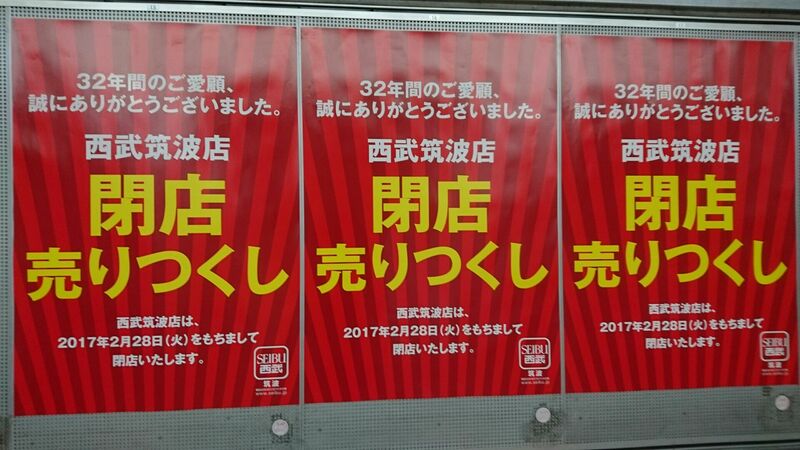 In the following weeks you might spot one of these posters announcing the closing of Tsukuba`s Seibu Department Store after having served as the commercial (and cultural, many would say) center of this city for the past 32 years.